Ro Loughran, MFT, offers Psychotherapy in San Rafael, serving the San Francisco Bay Area. I am a licensed psychotherapist, and offer a compassionate space to bring gentle attention to whatever is asking for tending in your life, so that you may heal and thrive. No matter how wounded or hopeless you feel, I will ally with you in the process of strengthening your connection to your inner wisdom, clarity, courage, and confidence. It is my pleasure to help you honor your deepest nature, amplify your strengths, and live the life that you want for yourself. I draw from depth psychology, as well as having a background in the arts, dreamwork, somatic, and psycho-spiritual psychology. In the past twenty years I've worked in both private practice and community mental health settings, including six years on a psychiatric treatment team in a county mental health clinic. Feel free to call or email me for more information, as I'm happy to answer any questions about my services or fee. Payment can be made by cash or check, or by credit card using PayPal. I do accept Medi-cal/Partnership Health through Beacon. 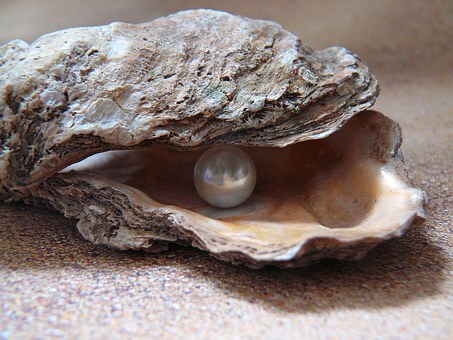 Like the sand that drives an oyster to create a pearl, your most difficult challenges are calling forth the best in you.